Mr. Obasanjo spoke in Abakaliki, the Ebonyi State capital at the 2nd edition of the Zero Hunger Strategic Forum. While commending the state governor, David Umahi, for the giant strides in the agriculture especially in rice production, Mr. Obasanjo noted that a lot still needs to be done by all stakeholders to achieve food sufficiency in the country. “The aim of zero hunger is to make sure that policies that are required and programmes that will take us to the promised land are implemented by all concerned, federal government, state governments, local governments, communities, farmers, NGOs and international organisations”, he said “So we are a group of actualisers and where there is anything to bring about, where things get stuck, we can help to ‘unstuck’ them”, he added. 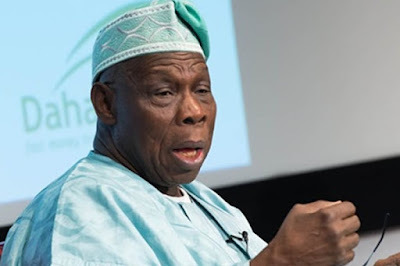 Mr. Obasanjo added that the group he leads was in the state to find out agricultural programmes and policies to implement and actualise and to help the state in any aspect of their agricultural programmes that they may require help. The governor of the state, David Umahi, lamented the poor quality of farm inputs in the market which he noted had impacted negatively on government’s efforts at improving agriculture in the state. “Efforts should be made to encourage producers of farming inputs to not only produce genuine products but for the central government to subsidise this so that ordinary farmers can afford them. He argued that the most challenging problems facing farmers is lack of access to quality seedlings. “The greatest help that could be rendered to farmers is to provide them with seedlings that are genuinely certified. The worst psychological impact a farmer could have is to plant seeds that will not germinate,” he said. The governor further advocated that the Central Bank of Nigeria, CBN, should not charge more than five per cent in its loan facilities to farmers which he said should be stretched in such a way that it will not put farmers in undue pressure.